I'm a lover of many things. Coffee. Naps (not that I every get to take one). Netflix binging. These all are pretty normal interests. Some of my lesser-known passions include curriculum development, finding the perfect authentic resource for an IPA (integrated performance assessment), and implementing educational technology. Sounds nerdy, I know. It's ridiculous how excited I get about #edtech, but, for me, my professional passions are clear signs that I'm indeed meant to be a Spanish teacher. Such reassurances are necessary at this time of the year, don't you think? 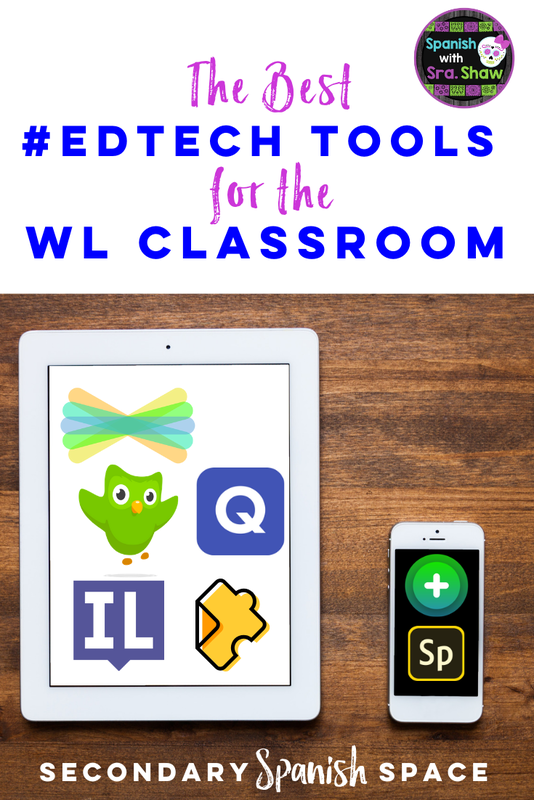 It was really hard to choose, but I've carved out my 7 favorite #edtech tools to share with you today. All of these tools are free; some offer paid upgrades, but you can use all of them without paying a penny. If I was limited to one tool for the rest of my professional life, SeeSaw would be my hands down, easy choice. After learning about SeeSaw from EdTech guru Leslie Fisher five years ago, I immediately saw how this commonly used K-5 tool was perfect for capturing my students' language proficiency development at the secondary level. Until today, I hadn't posted a single blog post about SeeSaw because I didn't know how to express in writing how amazing SeeSaw is. I finally posted a long-awaited blog post today! Check it out here! SeeSaw is versatile, simple, and proficiency centered. I love it because it captures how my students CAN DO the language, not just what they know. 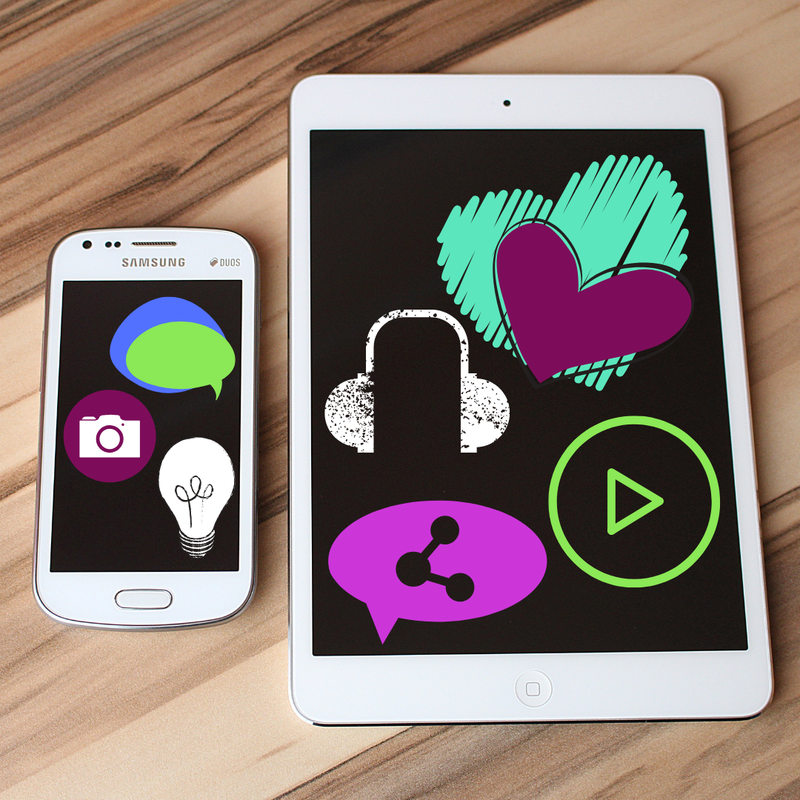 Students can quickly share pictures, videos, and draw on all with written captions, spoken narration, and text labels in just minutes. I also use it as a place for students to submit all their digital documents (Google Drive links, Word Docs, etc.) and it's essentially where students submit all of their formative assessments. Because it's hard to capture how versatile SeeSaw is, I created this video so you could see what makes this tool so powerful in the WL classroom. Also, can we seriously talk about why YouTube chose THIS portion of the video to be the image? Ugh. Flipgrid is what everyone is talking about. It's easy to use, communicative and fun. Basically, teachers create a spoken thread and students respond. It's cute because you can put little sunglasses, hats, and other props, which makes speaking a language more fun for kids. I'll be completely honest that while I've used Flipgrid a few times, I haven't committed to it because I can capture interpersonal and presentational speaking just as easily with SeeSaw. I already use a lot of technology, so I try not to overwhelm my students with too different tools unnecessarily. If I weren't already an avid SeeSaw user though, I'd definitely use Flipgrid all the time. It's perfect tool for easily capturing students speaking in target language. They can either use a presentational format as a response to a prompt or it could be considered presentational because students can respond to one another's videos. Alternatively, you could also use it for interpersonal speaking videos in which students record themselves talking to others, which I've been known to do with my IPAs. Like I said, I haven't used Flipgrid a ton, but if I weren’t so dedicated to SeeSaw, I’d use it all the time. Last month, I left it as fast finisher work when I was at my state conference and the kids who made Flipgrids had fun with it. Edpuzzle is my favorite interpretive tool. In a nutshell, Edpuzzle allows you to create classes, add students, share videos with embedded questions, and then access student progress. It's efficient, engaging, flexible, and free. It also makes the perfect sub plan! Teachers can take any YouTube video or upload their own videos and add customized questions for students to answer. There are also thousands of pre-made video lessons that you can share with your students in just one click. You can even edit the questions on videos that other users have already created so you don't have to start completely from scratch. I blogged all of the reasons Edpuzzle is awesome a while back and you can check out my favorite implementation ideas here. 1) When I have a YouTube video I want students to watch and answer questions about, I get the link for the video, paste it into Edpuzzle, and then add the questions throughout the video. I love that students can rewatch as many times as they need, so Edpuzzle is automatically differentiated. 2) In my district, I still have to teach grammar; there's just no way around it. I flip all of my grammar notes so that students watch my lectures, fill out notes as they watch the video, and then answer more questions on Edpuzzle. I've found students retain the information better this way because Edpuzzle forces them to stay engaged with all of the questions. Check out my video tutorial below of how easy it is to create an Edpuzzle in just minutes. I know most of us probably already know about Quizlet. This uber-popular vocabulary website has been around for over a decade, but they continue to add features that keep me interested. Quizlet "Learn" is a newer activity that adapts with students as they master material. I like it because the style of learning is multifaceted. "Learn" includes multiple choice, typing, and other activities and I like that it starts of easy and gradually gets more difficult. 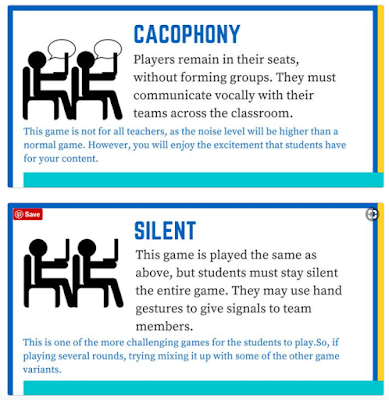 When they added Quizlet Live a couple of years ago, I shared a bunch of ideas of how it could be used in unconventional ways to keep students engaged and on their toes. There's nothing worse than burning students out an amazing, prep-free game like Quizlet Live, so I like to make sure I change it up. Since then, I've seen a bunch of variations including Quizlet Live Relay and I love some of these new-to-me Quizlet Live Variations (shown below). I've actually played the "Cacophany" version and enjoyed it, thought it did get a little crazy. 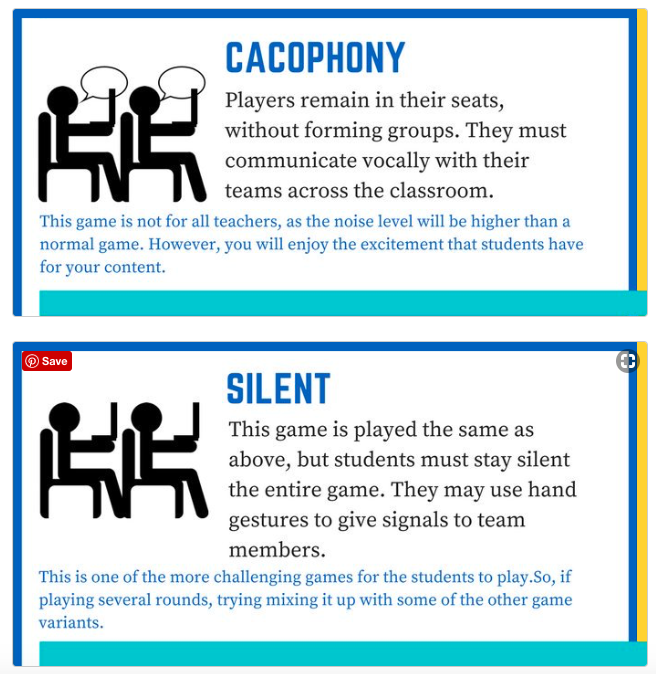 I'd like to try the "Silent" version so that students aren't allowed to slip into English. Most of Quizlet's features can be accessed completely for free, but this year, I made the jump and paid for the Quizlet Teacher upgrade and I've got no regrets. It was totally worth the $25 I paid with a promo code. I assign my students different activities for each vocabulary set and am able to efficiently see their progress and which activities they've completed. I've found that students complete their assignments more regularly with Quizlet than with other apps I've used and their grasp of the content is better. I always tell my students that they have no idea how lucky they are that I assign them Quizlet sets. I know they can't image a world like this, but I always remind them that when I was a kid, it was my job to study my vocabulary and and that I had to create little index cards flashcards on my own. There weren't fun games, I couldn't hear the pronunciation, and there definitely wasn't Quizlet Live. Kids today are so lucky! InsertLearning is yet another tool I heard about from edtech guru, Leslie Fisher. If you ever have a chance to attend one of her sessions or follow her on social media, I cannot recommend it enough. To put it simply, InsertLearning is a Chrome extension that allows teachers add questions, comments, videos, and annotations to any website thereby converting the page into an interactive lesson. It's super simple and all you need is the Google Chrome browser, the free InsertLearning Chrome extension, and a website of your choosing. You can even integrate it with Google Classroom, Flipgrid, EdPuzzle, and Quizlet. InsertLearning is considered a Freemium platform as you can create only five activities for free. I found, however, that when I deleted old activities, that it let me create an additional lesson, so that a nice workaround. Here's a super quick video tutorial showing the basics of how InsertLearning works. For a more detailed one, check out this video. Adobe Spark Video is a free, easy-to-use digital storytelling app that allows students to combine original (or stock) images with graphically impressive pre-loaded themes. They then can use their presentational speaking skills (and presentational writing skills if they want to add text overlays) to tell narrate over the slideshow they create. Sounds complicated, but it's not, I assure you. Some of my more creative students LOVED playing around with this app. I should add that you need an Adobe account, but that Adobe Spark Video is free and is both web-based and available on any web browser. There isn't currently an Android app, unfortunately. Here's a quick tutorial overview to give you an idea of Adobe Spark Video's potential. DuoLingo is, hands down, the best tool available to teach yourself Spanish and it's free! What could be better! I'm impressed with how effective it is at introducing students to vocabulary and grammar structures and I appreciate that it allows for speaking and listening practice at the same time. Plus, there's a new Stories Beta that appears to be more in line with CI (comprehensible input). While I don't use actually DuoLingo as an integrated part of my curriculum, I do encourage students to spend time using the app (or website) outside of class and during summer vacation. I frequently don't see students for 6 months or more between courses, which isn't ideal, but DuoLingo supplements my classroom teaching and keeps students in the loop so they don't "lose" their language acquisition. Another great bonus of DuoLingo is that it is a ready-made sub plan. On days when one of my kiddos is sick or, heaven forbid, I myself am feeling under the weather, I get devices and my students happily DuoLingo for the day. My colleague, who teachers German, uses DuoLingo in the coolest way I've ever seen. She maximizes the gamification within DuoLingo, which is basically an "educational approach to motivate students to learn by using video game elements" and to "maximize enjoyment and engagement through capturing the interest of learners" (Huang, 2013). While it's not a model I could personally implement simply because it's not my style, it's awesome to see the German students at my school seriously motivated by Duolingo. I hear them talk about how they work their tails off inside and outside of class to earn more DuoLingo XP points than their classmates. So there you have it: The 7 best web tools for the WL classroom. I hope you feel inspired to try out one of more of these proficiency-centered apps with your students! If you have questions, comments, or ideas, I'd love it if you'd leave your feedback in the comments below. Huang, Wendy Hsin-Yuan; Soman, Dilip (10 December 2013). A Practitioner’s Guide To Gamification Of Education (PDF) (Report). Research Report Series Behavioural Economics in Action. Rotman School of Management, University of Toronto. Retrieved 14 February 2014. Awesome. I share and support teachers to use all of those regularly except one: I am super excited to explore the Insert Learning extension!!! A brand new tool that has a TON of potential is Edji. And don’t let Wizer’s uninspired tagline “make beautiful worksheets” fool you: what teachers can create in Wizer goes way beyond worksheets. My favorite uses for language teachers and learners include the sorting activity, the activities that are created using images (which could be all kinds of authentic documents for us) and the activities that allow students to submit an AUDIO response (and teachers can provide audio feedback). And all of that is available in the free version!! As for Flipgrid, I use it alongside Seesaw. With Flipgrid, I engage my students with native speakers of the target language, such as their penpals, or people I know personally who have expertise in something we are learning about. There are also some new, innovative uses of Flipgrid (kind of like the ones you mentioned with Quizlet) that you might find interesting: #gridpals and #gridhunt. Thanks again for this post! !